It's time for NSD again! Yes, really. 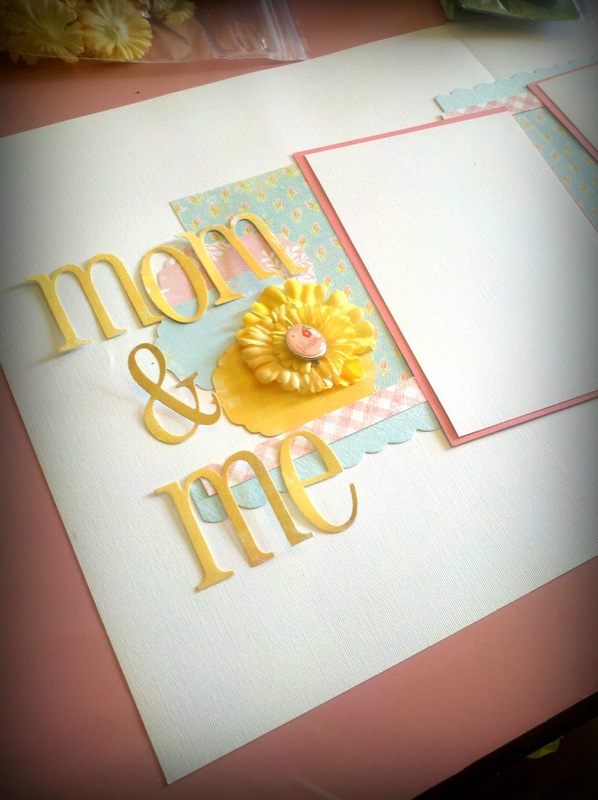 National Scrapbooking Day is just around the corner and I'm sitting here a bit red-faced as I realize it's been about a year since I updated this blog. I'm not sure why keeping my blogs updated has become difficult, but there you go. All I can do is try to do better. This year I'll once again be a vendor at the Angel Scrapper's NSD 2-day crop. This will be my third year and I'm really looking forward to it again. The ladies who crop there are such a lovely group and I have had a wonderful time every year. This year, I'm hoping to expand my booth offerings a wee bit. Besides the usual papercrafting supplies, I'm working very hard at bringing some exclusive PCP products to add to the mix. We'll see how well time and life's obligations cooperate with my efforts to get all the at I want to accomplished done in time. This weekend, I'm working on a few basic page layout kits. Here's one I started today using Authentique papers. So far, I'm really loving how this is coming together. I adore the simple feminine, springtime feel of the paper line. I've also got a masculine layout in the works using Heidi Swapp's No Limits collection. I've also finally got around to painting the display shelf I shared back in this post to match the other items in my collection. I can't wait to see how the booth comes together. Now, I just have to remember to take photos to share here later. Well, that's all I have for now, but as I said I'm trying once again to turn over a new leaf and update my blog more regularly.